Conventional wisdom says that quantum mechanics is a theory of discreteness, describing a world of irreducible building blocks. It stands to reason that computers—which process information in discrete chunks—should be able to simulate nature fully, at least in principle. But it turns out that certain asymmetries in particle physics cannot be discretized; they are irreducibly continuous. In that case, says David Tong, author of "Is Quantum Reality Analog after All?" in the December 2012 issue of Scientific American, the world can never be fully simulated on a computer. Tong's essay is quite sensible, but I do not believe his claim that "certain asymmetries in particle physics cannot be discretized". I had thought that lattice gauge theories had advanced to where they could approximate experiments. I would be amazed if someone has actually proved that convergence is impossible. Here is the audio download. Update: Tong's references are A Method for Simulating Chiral Fermions on the Lattice, Chiral Symmetry and Lattice Fermions, and Chiral gauge theories revisited. I don't see where any of these papers say that chiral fermion lattice gauge theories are impossible. Take a moment to thank this little particle for all the work it does, because without it, you'd be just inchoate energy without so much as a bit of mass. What's more, the same would be true for the entire universe. It was in the 1960s that Scottish physicist Peter Higgs first posited the existence of a particle that causes energy to make the jump to matter. But it was not until last summer that a team of researchers at Europe's Large Hadron Collider — Rolf Heuer, Joseph Incandela and Fabiola Gianotti — at last sealed the deal and in so doing finally fully confirmed Einstein's general theory of relativity. The Higgs — as particles do — immediately decayed to more-fundamental particles, but the scientists would surely be happy to collect any honors or awards in its stead. Einstein was Time's Man of the Century, and he always has to credited somehow. For nearly a century they've been saying that something finally confirmed Einstein's general theory of relativity, but this time the Higgs boson has nothing to do with it. Update: Lumo later finds some other errors in the Time announcement, following Strassler. 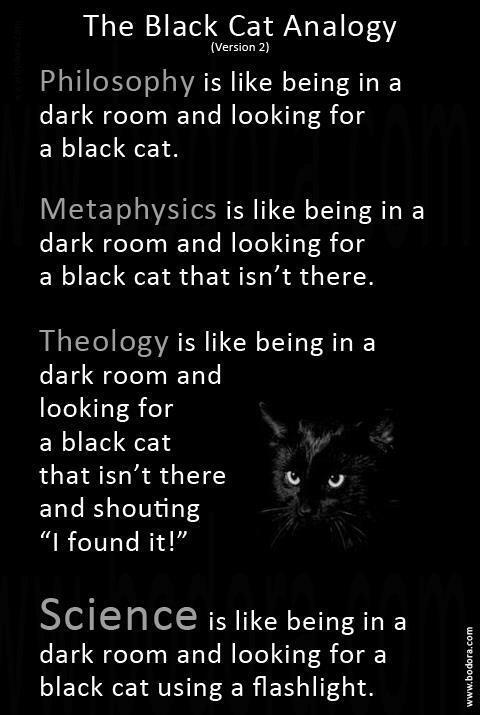 Philosophy is never a good science. But when it comes to philosophies, many laymen in quantum mechanics – and even people not considered laymen in quantum mechanics by the society or by themselves – often think that "realism" is the right philosophy behind modern science. This viewpoint, based on millions of years of our everyday monkey-like experience, has strengthened by the 250 years of successes of classical physics and it was – unfortunately – energized by Marxism that repeated the untrue equation "science = materialist ideology" many times. Marx, Lenin, and related bastards surely belong among those who have encouraged people to never leave the mental framework of classical physics. But it is "positivism" which is the philosophy that is closest to the founders of the modern science, especially relativity and quantum mechanics. Positivism says that all reliable knowledge – the truth we are allowed to become fans of – has to boil down to empirical observations and mathematical and logical treatments of such empirical data. It sounds uncontroversial among science types but many of them don't realize how dramatically it differs from the "materialist ideology". In particular, positivism assumes nothing about the "existence of objective reality". He is right about this. MWI has no merit, I have argued. I do agree with Lumo that anyone who advocates MWI (or some of the other peculiar interpretations like Bohm's) has a fundamental misunderstanding of quantum mechanics, and even of what science is all about. There are as misguided as creationists and mystics. I don't require everyone to adopt my positivist philosophy, but the MWI advocates refuse to even acknowledge that quantum mechanics, as envisioned by Bohr and Heisenberg, is positivist. After the quantum revolution, we know that all empirical evidence coming from repeated experiments may be summarized as measured probabilities of various outcomes of diverse experiments. Once again, all the empirical knowledge about the physical processes that we have may be formulated as a collection of probabilities. Probabilities are everything we may calculate from quantum mechanics (and from other parts of science, too). So they're surely not a detail. Orthodox quantum mechanics promotes probabilities to fundamental concepts and uses the standard probability calculus – which existed a long time before quantum mechanics – to give you rules how to verify whether the probabilistic predictions of a theory are right. The basic laws of quantum mechanics are intrinsically probabilistic. Yes, I agree that probability is important in all of science, because it gives a tool for analyzing repeated experiments. But I do not agree that orthodox quantum mechanics promotes it to being more fundamental than that. Probability is only important in quantum mechanics to the same extent it is important in other sciences. The probabilities do have meaning, even tho they are not directly observable. But the probability has no meaning in MWI, because the MWI advocates would say that Mitt Romney won the election in many of the parallel universes. They could try to argue that Obama won in more universes than Romney, but there is no way to make sense out of that because we cannot see the other universes. Lumo explains this well. Do you consider it ironic to be attacked by some for pointing out the rationality and utility of String theories but attacked by others for pointing out the irrationality and lack of usefulness of MWI? That hit a nerve. String theory has no utility either. It does not explain any observable phenomena, or resolve any theoretical puzzles, or simplify any physics, or have any rational justification. But Lumo is ideologically committed to string theory. 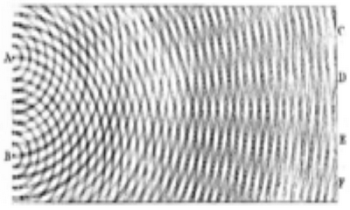 Space is not smooth: physicists think that on the quantum scale, it is composed of indivisible subunits, like the dots that make up a pointillist painting. This pixellated landscape is thought to seethe with black holes smaller than one trillionth of one trillionth of the diameter of a hydrogen atom, continuously popping in and out of existence. That tumultuous vista was proposed decades ago by theorists struggling to marry quantum theory with Einstein's theory of gravity -- the only one of nature's four fundamental forces not to have been incorporated into the standard model of particle physics. If it is true, the idea could provide a deeper understanding of space-time and the birth of the Universe. Scientists have attempted to use the Large Hadron Collider, gravitational wave detectors and observations of distant cosmic explosions to determine whether space is truly grainy, but results have so far been inconclusive. Inconclusive? There is no evidence of any kind that space is grainy. It is wildly speculative and implausible to say that space is composed of indivisible subunits, and that tiny black holes continuously pop in and out of existence. Editors' note: Last year the Foundational Questions Institute's third essay contest posed the following question to physicists and philosophers: “Is Reality Digital or Analog?” The organizers expected entrants to come down on the side of digital. After all, the word “quantum” in quantum physics connotes “discrete” —hence, “digital”. Many of the best essays held, however, that the world is analog. Among them was the entry by David Tong, who shared the second-place prize. The article here is a version of his essay. It was from last year's essay contest. You can get the original essay free on the 2011 winner page. It is a sensible essay. Erik Verlinde over the past couple years has gotten 6.5 million euros in prizes and grants to fund his work on entropic gravity (see here). Now, he’ll head up a new institution, the Delta Institute for Theoretical Physics, funded with 18.3 million euros from the Dutch scientific funding agency NWO as part of its Gravitation Programme. To truly succeed at being a big-shot, you have to have a really crazy idea, I guess. The most obvious physical fact about gravity is that it is a conservative force. That means that it is reversible. The most obvious fact about entropy is that it is irreversible. Yet Verlinde says gravity and entropy are the same thing. I don't see how this can make sense on any level. Does a lack of evidence for supersymmetry at the LHC (main story) count against this elegant extension to the standard model? "SUSY's plausibility is reduced," says Nobel laureate Steven Weinberg, "but not to zero." Others say the theory is flexible; that the latest results merely help to whittle down a list of possible incarnations. Still the results have stoked a debate about the attention SUSY gets. "The theory, specifically as something we would observe at the LHC, was wildly over-promoted," wrote Matthew Strassler from Rutgers University in New Jersey on his blog. That might have led other promising theories to suffer, says Raymond Volkas of the University of Melbourne, Australia, as popular theories can reduce interest in others. "Many people feel they have to work on the bandwagon ideas." A few years ago, most of the theoretical physicists were sold on SUSY, in spite of the lack of hard evidence. It was mostly based on mystical unification ideas. Now the evidence is piling up against SUSY. The play repeats their meeting three times, each with different outcomes. As Heisenberg, the character, states: "No one understands my trip to Copenhagen. Time and time again I've explained it. To Bohr himself, and Margrethe. To interrogators and intelligence officers, to journalists and historians. The more I've explained, the deeper the uncertainty has become." In his 1930 text The Principles of Quantum Mechanic. Paul Dirac, a colleague of Heisenberg, contrasted the Newtonian world and the Quantum one: "It has become increasingly evident… that nature works on a different plan. Her fundamental laws do not govern the world as it appears in our mental picture in any direct way, but instead they control a substratum of which we cannot form a mental picture without introducing irrelevancies." Dirac was right. It is very hard to form a mental picture of the atom without introducing irrelevant hidden variables. I think that today's search for hidden variables is a misguided attempt to validate some flawed mental picture. They are usually not explicit about their faulty assumptions. Brian Greene is interviewed (at 35:30 to 38:30), and makes three points: (1)the new idea of quantum mechanics is that you cannot predict with certainty; (2) the weirdness is that the other possible outcomes occur in parallel universes; and (3) this is the most conservative way of interpreting the mathematics. All three points are false. Greene is treated as if he were some sort of physics genius, but what he says is as nutty as that of New Age spiritualists like Deepak Chopra. As I have written, quantum mechanics needs no probabilities, and the multiverse is philosophy. And the Many-worlds interpretation is not any simpler or more conservative than other interpretations. If the theory predicts that two alternatives are possible, such as a cat being alive or dead, and then one of those is observed, then MWI says that the other one happens in a parallel universe. That is supposed to be mathematically "conservative" because then you do not have to adjust your formulas to say that the unseen alternative is no longer possible. That is not being simple or conservative. That is just refusing to accept what you have observed. The Guardian reporters go on to credit Greene with expanding our notion of science by speculating about ideas that can never be settled by observation. No, Greene is giving physics a bad name. 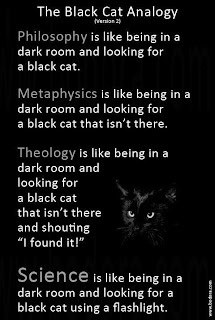 I found this image on an atheist site. If I accept this analogy, where is Greene's flashlight? He has no better way of illuminating anything that the philosophers and theologians. I argued below on the limits of math that math is limited by what is provable in aximoatic set theory (ZFC). Some comments disagreed with me. Last Friday, I was at a “Symposium on the Nature of Proof” at UPenn, to give a popular talk about theoretical computer scientists’ expansions of the notion of mathematical proof (to encompass things like probabilistic, interactive, zero-knowledge, and quantum proofs). This really is some of the easiest, best, and most fun material in all of CS theory to popularize. Here are iTunes videos of my talk and the three others in the symposium: I’m video #2, logician Solomon Feferman is #3, attorney David Rudovsky is #4, and mathematician Dennis DeTurck is #5. Also, here are my PowerPoint slides. Thanks very much to Scott Weinstein at Penn for organizing the symposium. This suggests that there are new kinds of proof that have replaced the old style of math proofs. But in fact all the word he described are regular math theorems provable in ZFC like everything else. Aaronson does describe some other ways of convincing someone that something is true. For example, someone with a complete proof can release info to convince others that he has a proof, without releasing the whole proof or even enough info to recontruct the proof. Some of these ideas have some practical application, such as the holder of a private cryptographic key can convince an authority that he possesses the key, without revealing the key. That evidence might even be called a "proof of possession". But none of these ideas has really changed the notion of a mathematical proof. If you want to get a math paper published in a math journal, you have to supply a proof from axioms just as always. I just listened to Jim Watson, scifri201211162.mp3. The first caller chewed him out for being a jerk, and I agree. Watson is famous for his 1953 work with Crick where they proposed a modification of Linus Pauling's helix model of DNA. Their basis was some unpublished experimental work taken from Rosalind Franklin at a rival lab. When Pauling saw their papers, he corrected their modification and found the chemical structure of DNA. One of the things I proposed last year at AAAS [the American Association for the Advancement of Science annual meeting] is that I think it should be called the Watson-Crick-Franklin structure. As far as I'm concerned, she was a de facto collaborator. Maybe she didn't give them her information directly. But every time they hit a stumbling point, it was her information that they got from Wilkins that straightened it out. Watson was promoting a new edition of his 1968 book that brags about stealing Franklin's data and unpublished theories, and then tricking her into publishing her paper after the famous Watson-Crick paper. The public was thereby fooled into thinking that her work was done to confirm the Watson-Crick model, when it was actually the chief inspiration for the model. In the Friday interview, Watson continued to badmouth her, and to refuse to give her credit for what she did. He even boasted that she died without knowing how he and Crick had cheated her. Watson also claimed to not remember saying that Africans are stupid, and then mumbled something about not wanting to be quoted. His answers to other questions, such as about what defines good science, were surprisingly lame. I have written extensively about how Einstein has been over-credited for relativity, thereby fueling speculation about how credit relates to his Jewishness. In the case of DNA, Watson, Crick, and Franklin were all atheists, and only Franklin was of Jewish descent. If there is a Jewish conspiracy to credit Jews, then Franklin should have been credited. It has been alleged that sexism was at work, but I do not see any evidence that she was mistreated because she was a woman or a Jew. It appears to me that Watson and Crick were just dishonest and greedy for the credit, and others failed to stick up for her. Were there other things that were also unusual? Do you think this has anything to do with that famous photo of Einstein sticking his tongue out? I’ve been asked that four times in the last three days. The first time the question caught me by surprise and I said I thought it was just a coincidence. Then I got to thinking about it and went to a mirror to see whether I could get my tongue out as far as Einstein had, and I came pretty close. So I think that wonderful photograph was probably Einstein just being spontaneous and impetuous. This is silly. The comparison should be to other physicists, and I doubt that anyone would find anything unusual. I would be more interested in studying the brains of people with unusual talents, such as calculating prodigies. Nearly everyone says that there is a contradiction between quantum mechanics and gravity, and hence we need a theory of quantum gravity to unify all the forces. But no one has ever been able to demonstrate any such contradiction. A simple calculation, based on the known laws of gravitation and quantum mechanics, leads to a striking result. To detect a single graviton with a LIGO apparatus, the mirrors must be exactly so heavy that they will attract each other with irresistable force and collapse into a black hole. In other words, nature herself forbids us to observe a single graviton with this kind of apparatus. I propose as a hypothesis, based on this single thought-experiment, that single gravitons may be unobservable by any conceivable apparatus. If this hypothesis were true, it would imply that theories of quantum gravity are untestable and scientifically meaningless. The classical universe and the quantum universe could then live together in peaceful coexistence. No incompatibility between the two pictures could ever be demonstrated. Both pictures of the universe could be true, and the search for a unified theory could turn out to be an illusion. There is no problem quantizing weak gravitational fields, or linear approximations. That is good enough for all conceivable observations. But the theoretical research puzzles have to do with gravitons and absurd black hole scenarios that will never be observed. As Quantum Mechanics surely spells trouble for General Relativity, the existence of singularities suggests that General Relativity may also spell trouble for Quantum Mechanics. It will be fascinating to watch this battle play out. It has played out. There is no trouble. As I explain in my book, How Einstein Ruined Physics, theoretical physics has gone down a bad path of arguing about things that can never be observed. Most physicists will say that quantum gravity is one of the biggest problems in physics, but it is not a scientific problem at all. A truly mind-boggling idea, because were it to be true, it would infinitely expand reality. It would expand reality infinity more than the Copernican Revolution ever did, because at most, all that Copernicus did was increase the size of this single universe to infinity. The parallel universes concept proposes to multiply that single infinite Copernican universe an infinite number of times. Actually, an uncountable infinity of times. ... That is, if you accept quantum mechanics — and more than a century of experimental evidence says you have to — then you have to accept the existence of the parallel universes. Like the Copernican Revolution, the Everettian Revolution will take decades before it is accepted by all educated people, and it will take even longer for the full implications of the existence of an infinite number of parallel universes to be worked out. The quantum computer, invented by the Everettian physicist David Deutsch, is one of the first results of parallel universe thinking. The crazy part of this is where is says that many-worlds is a consequence of quantum mechanics. Dyson was one of the creators of quantum field theory, and he says that many-worlds is not even science. No, quantum mechanics does not give any mathematical or physical reason to accept parallel universes. Researchers at the Large Hadron Collider have detected one of the rarest particle decays seen in Nature. The finding deals a significant blow to the theory of physics known as supersymmetry. Many researchers had hoped the LHC would have confirmed this by now. 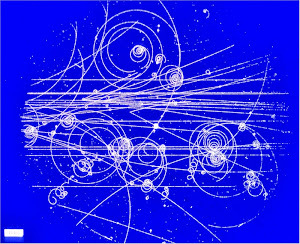 Supersymmetry was supposed to solve at least five different problems in physics. 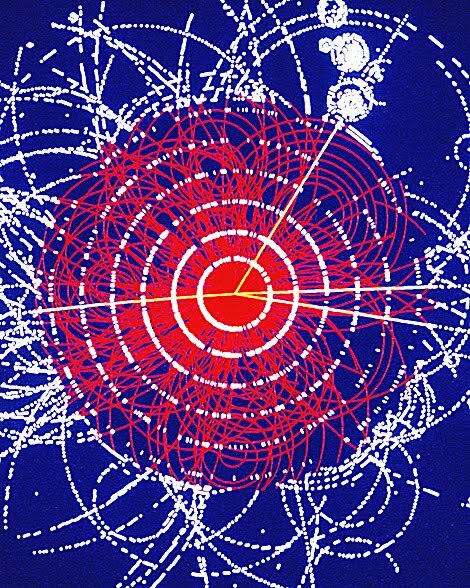 By far the most important argument in favor of supersymmetry is the fact that it seems to be implied by string theory, the only known - and, most likely, the only mathematically possible - consistent unifying theory of fundamental forces including gravity. String theory is dead. Links to other views are here. What is tetrahedral symmetry doing in the masses of neutrinos?! Nobody knows. But you can bet there will be a good explanation. It is likely that this explanation will come from mathematicians and physicists working closely with Lie groups. The most important lesson from the great success of Einstein's theory of General Relativity is that our universe is fundamentally geometric, and this idea has extended to the geometric description of known forces and particles using group theory. It seems natural that a complete explanation of the Standard Model, including why there are three generations of fermions and why they have the masses they do, will come from the geometry of group theory. This explanation does not yet exist, but when it does it will be deep, elegant, and beautiful — and it will be my favorite. Yes, we have geometric description of the known forces and particles, but I am not so sure that the our universe is fundamentally geometric. But the most important lesson is that, at a minimum, Einstein's minor dream of a world of pure geometry has largely been realized as the result of a large group effort. All known physical phenomena can now be recognized as fashioned from the pure, if still heterogeneous, marble of geometry through the efforts of a new pantheon of giants. Their achievements, while still incomplete, explain in advance of unification that the source code of the universe is overwhelmingly likely to determine a purely geometric operating system written in a uniform programming language. 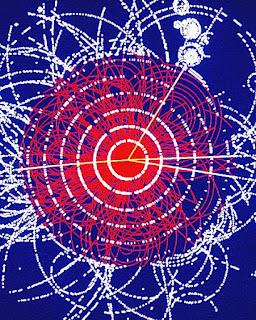 The Standard Model's success nonetheless illustrates another beautiful idea essential to all of physics, which is the concept of an "effective theory." The idea is simply that you can focus on measurable quantities when making predictions and leave understanding the source of those quantities to later research when you have better precision. Not only physics. This idea has been essential to all of science for millennia. She is just describing a theory that has been stripped of its pretentions of being some sort of perfect knowledge. It is funny that she describes effective theory as if it were just one type of a physical theory. She also studies string theory which never makes any predictions and claims to be a theory of everything. She acts as if these are just two kinds of scientific theories. No, there is one kind of scientific theory. String theory is not science. All of the Edge essays are on this page. However, the two recent Science papers in question used quantum-information variants of this delayed-choice experiment to hammer additional nails in the coffin of local hidden variable theories. As I explained this week about a third paper against hidden variables, these theories have been dead since 1930. So why do physicists keep disproving hidden variable theories if no one believes in them anyway? Einstein and other quantum mechanics skeptics expressed a preference for hidden variable theories. I argued in my FQXi essay that pursuit of hidden variable theories is rooted in a false belief in that mathematization of nature. People refuse to acknowledge that they are even making the assumption. In the summer of 1905, Minkowski and Hilbert led an advanced seminar on mathematical physics, on electrodynamical theory. Minkowski told Born later that it came to him as a great shock when Einstein published his paper in which the equivalence of the different local times of observers moving relative to each other was pronounced; for he had reached the same conclusions independently. He never made a priority claim and always gave Einstein his full share in the great discovery. In his famous talk, "Space and Time" Minkowski wrote that the credit of first recognizing sharply that t and t' are to be treated the same, is of A. Einstein. Lorentz denoted the combination t' of (t and x) as the local time (Ortszeit) of the uniformly moving electron, and used a physical construction of this idea for a better comprehension of the contraction-hypothesis. But to perceive clearly that the time of an electron is as good as the time of any other electron, i.e., that t and t' are to be treated equivalently, has been the service of A. Einstein. It required only the recognition that the auxiliary quantity introduced by H. A. Lorentz, and called by him "local time", can be defined as simply "time." Stachel has made a career out of editing Einstein's papers and finding ways to credit Einstein, and is correct about Poincare having the operational definition of local time that Minkowski credited to Einstein. The only thing left for Stachel to credit Einstein is Poincare's aether and "as if". But Poincare's explanation did not involve the aether or an "as if". Stachel is quoting himself, not Poincare. I did not know that Minkowski told Born that he reached some relativity conclusions independently of Einstein. But Minkowski appears to have gotten those conclusions from Poincare. His famous Space And Time paper does not mention Poincare, but his previous paper cites Poincare and directly follows him with the Lorentz group, four-dimensional spacetime, and electromagnetic covariance. So yes, Minkowski probably did come to all those conclusions independently of Einstein because he got them from Poincare. The result of Ref. can be considered as a no-go the-orem for interpretations of quantum theory, analogous to Bell's theorem. Each theorem states that a certain class of theories must make different predictions from quan-tum theory -- locally causal theories in the case of Bell's theorem and ψ-epistemic theories in the case of Ref. . We have suggested that a natural threshold is defined by quantum state discrimination. So they are claiming that they have disproved ψ-epistemic theories, just as Bell and Bell test experiments have disproved locally causal theories. No, Bell did not disprove locally causal theories. He only disproved a type of hidden variable theories that no one believed anyway. Likewise, these guys are only trying to disprove ψ-epistemic theories that no one believes. I explain further here and here. Quantum mechanics was discovered in the 1920s, and incorporated into physics textbooks in the 1930s. Ever since, the mainstream interpretation has been that it is a locally causal theory and a ψ-epistemic theory. So why are all these physicists, 80 years later, trying to do experiments that prove quantum mechanics correct but also disprove local causality and ψ-epistemic ontology? Maybe this paper has some clever new way of testing quantum mechanics. I don't know. But it is not telling us anything except what was common knowledge 80 years ago. I will be interested to see whether this paper gets publicized as some profound new result, and if the editors require that the claims be scaled back before publication. If I were the referee, I would require that the article say that it was only confirming what Bohr, Heisenberg, and the textbooks said 80 years ago. I doubt that the editor will require any such change. Yes, Wilczek is correct. Yes, the aether is essential to modern theories of electromagnetism. The biggest physics news of the 21st century is the discovery of the Higgs boson, and that was the confirmation of a 50 year old aether theory. It is crazy to talk of eliminating the aether as if that were some great accomplishment. Explaining the failure to detect aether velocity led to the theory of relativity, but Einstein himself said that it was a mistake to deny the aether. The aether (under various names) is essential to modern physics. He takes the last one, of course. It is the positivist view that Bohr advocated all along. The other views cannot be ruled out, but they are pretty crazy. Quantum mechanics may be a better model for human behavior than classical logic, which fails to predict the human impulse to cooperate and act altruistically. Instead of trying to force our thinking into a rational framework, we are better off expanding the framework. No, Goedel and economists did not show that. The claim about "historians of science" seems to be a reference to Kuhnian paradigm shifts. That is where philosophers say that physicists are irrational. During the follow-up discussion Weinberg declared his leaning toward Dennett’s position, despite his (Weinberg’s) acceptance of determinism. This shows the confusion caused by physical determinism. I say that determinism is absurd, and that so are Coyne's consequences. I am surprised to see the famous Steven Weinberg in the determinist camp, because most physicists believe that quantum mechanics proves that the world is fundamentally probabilistic and non-deterministic. I am not advocating non-determinism either. There is no scientific evidence one way or the other. The main argument for non-determinism is quantum mechanics, but that is no more probabilistic than any other scientific theory. These intellectuals move on to free will, morality, God, and various other issues. Needless to say, their foolish conclusions are even sillier than their faulty premises.